(1) Secure the front lower ball joint in a vise using aluminum plates. (2) Install the nut to the front lower ball joint stud. 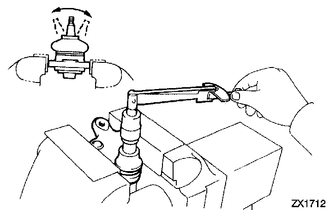 If the turning torque is not within the specified range, replace the front lower ball joint with a new one.